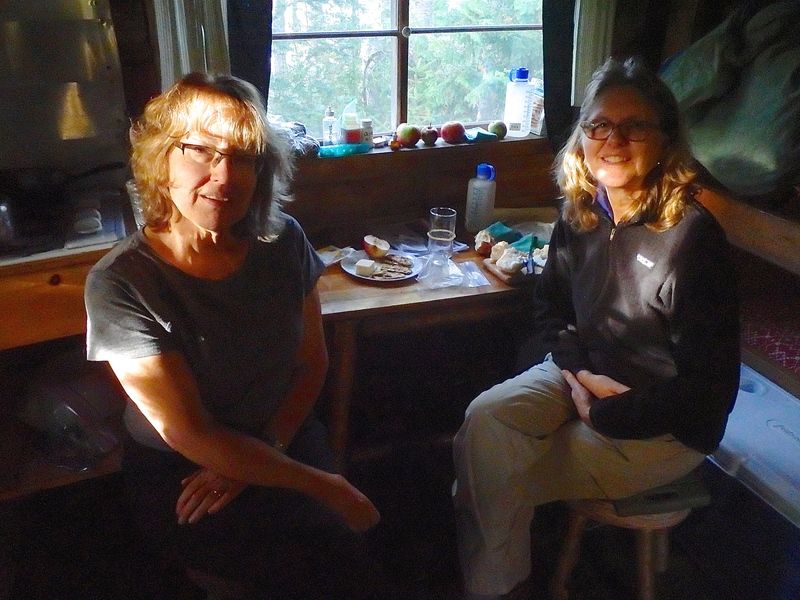 Everyone is invited to Marcia Jamrog and Jan Munroe’s presentation “Twins Talk Trail,” a program about comfort, pleasure and safety on short and long-distance hikes, on Wednesday, November 4 at 7 p.m. at the Lincolnville Community Library. 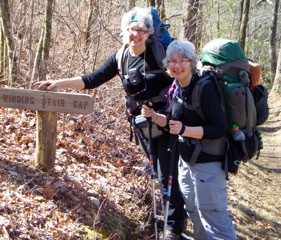 Twins Marcia and Jan have been hiking and backpacking for more than forty years and in 2008 covered 900 miles of the Appalachian Trail together. The two will share stories and photos from their adventures on that hike and others and offer tips on footwear, sleeping gear, food, and safety, particularly from a woman’s perspective. 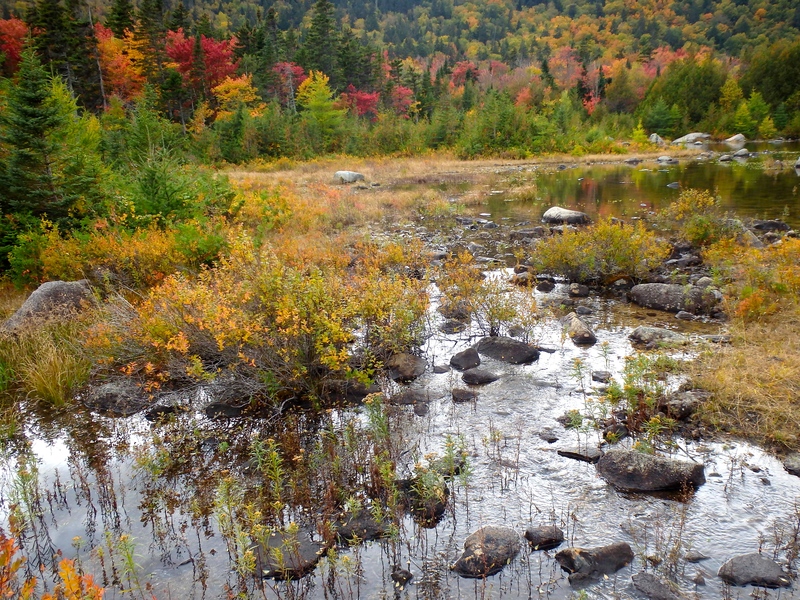 Having each spent many hours hiking with friends and family members, they will talk about using Maine’s network of trails year-round and provide packing lists for various types of trips. Marcia and Jan’s free presentation will complement the program Marcia’s husband, Tom Jamrog, did at the library in August, and will be a great opportunity for people to learn and share additional information about increasing active time outdoors in Maine . Last call: UNCLE TOM’S Camden Hills adventure THIS WEEKEND. We’ll hike into the Ski Shelter scenically set the forest on a Friday afternoon. We will hike out on Sunday. The shelter is located approximately 2.5 miles within Camden Hills State Park. 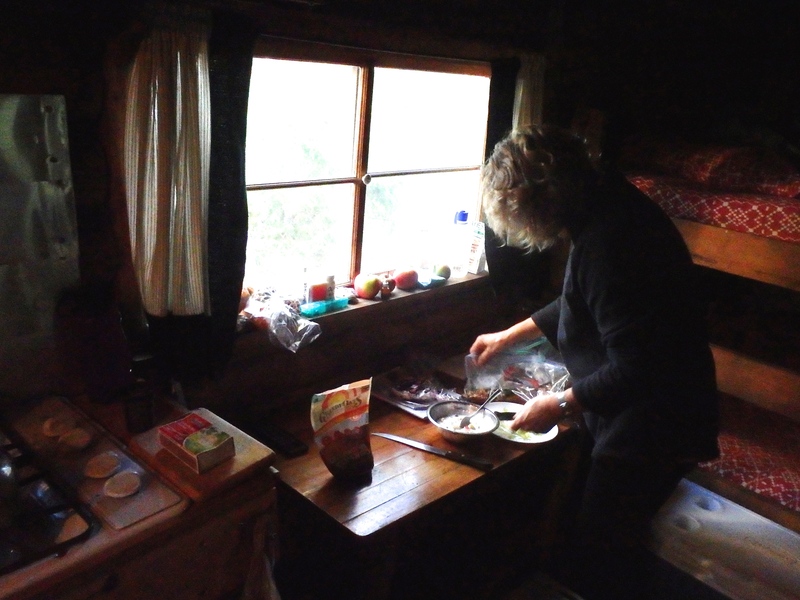 The focus of this adventure will be on backpacking cooking, BUT the weekend can also serve as an opportunity for anyone who wants to walk on some beautiful trails and spend a couple of nights in a back country setting in a tidy spot in the woods. Take Home A Stove! On Saturday night I will coordinate a dinner on home-made multi-fuel (wood, alcohol, solid fuel tablets) backpacking stoves. 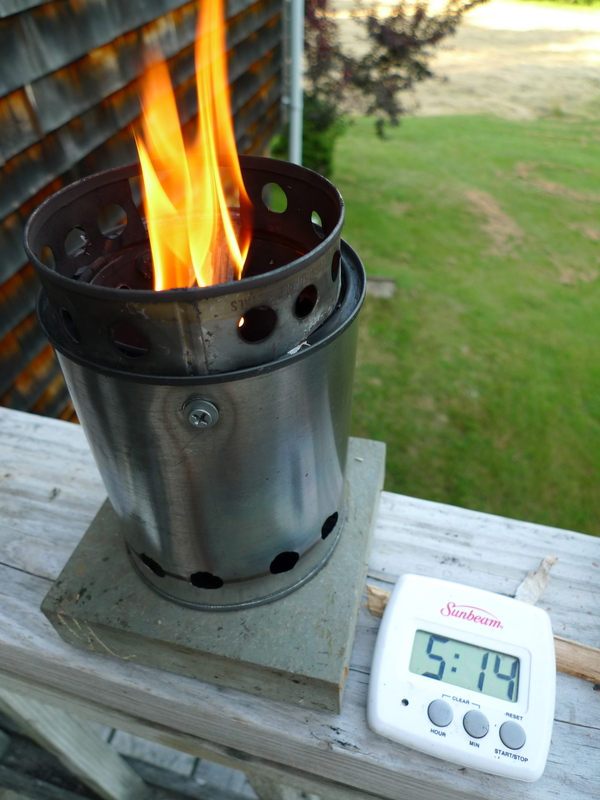 I provide the tools, materials, and fuel to allow each person to make, cook with, and then go home with their own multi-fuel cook stove, complete with custom titanium air mixing base plate. 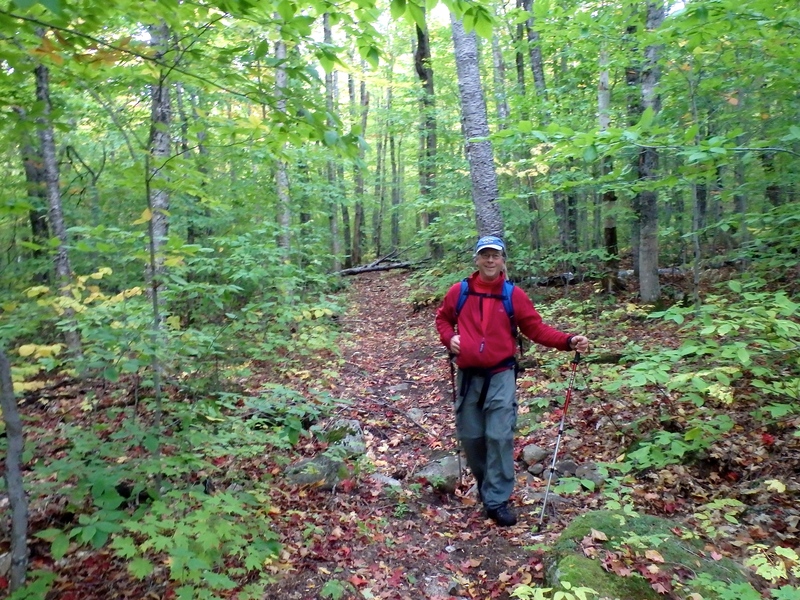 Camden Hills’ 25 miles of trails, include the summit of Mount Megunticook (1,385’). Megunticook is a nearly three mile long mountain ridge extending out to Ocean Lookout which overlooks the expanse of Penobscot Bay. During the day, we will group up and explore as much of the park as we can. I am most familiar with these trails and will offer my personal favorite hikes. Folks with iPhones should acquire the $3.99 Camden Hills Hiker app, which is also available in an Android application. I will assist participants with the App’s features, and we can use it to stay “found”. This trip is permitted for up to 6 people. The wood-stove heated shelter has 6 bunk beds. Participants will need to bring their own sleeping pads, sleeping bags, and personal gear, and other meals/ snacks. We will purify water from a stream, and use a clean outhouse adjacent to the wood-heated shelter. I can help provide items, like packs and sleeping pads and bags, if necessary. $100. Includes lodging/usage fees for 2 nights, food for Saturday night’s dinner, and a backpacking multifuel home-made stove. I will send a packing list. 207-230-4156 cell, texts. Your reservation can be secured with a 50% deposit (to Tom Jamrog, 290 High St., Lincolnville, ME 04849). ABOUT ME: I am a Registered Maine Guide. My background and training has prepared me for assisting clients to engage in a successful wilderness experience by bolstering mental preparedness as well as advising clients about gear selection and on-trail techniques. 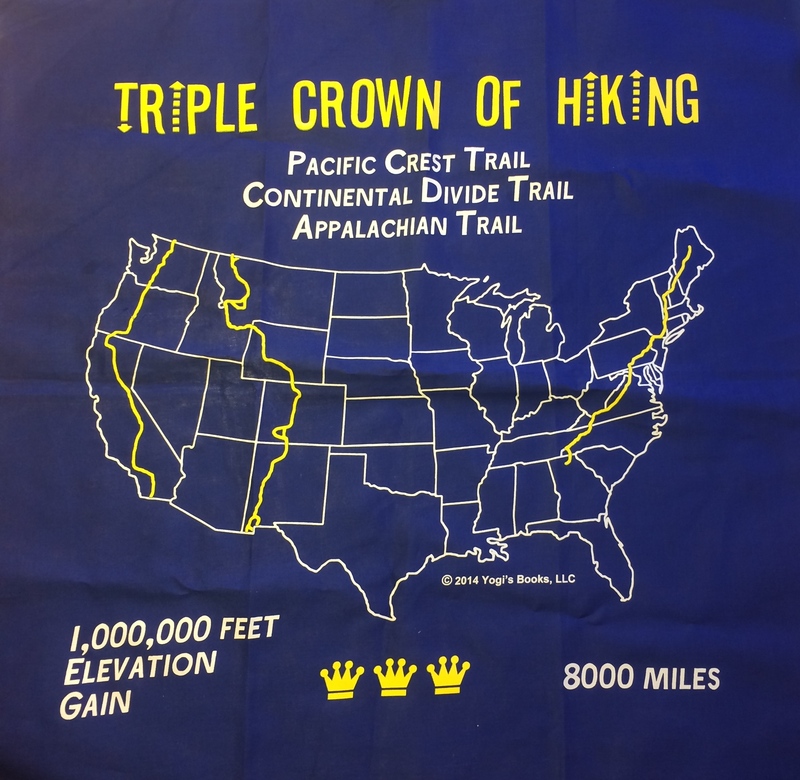 I am a Triple Crown Backpacker who has thru-hiked the three major long distance US National Scenic Trails: Appalachian (2007), Pacific Crest (2010), and Continental Divide Trails (2013). The huge battering wind that awoke me yesterday in my bunk here at Windy Pitch camp at Katahdin Lake Wilderness Camps is gone this morning. In its place is the sound of gently falling rain, a total surprise, given the bright sunny day forecast for this place when I left home two days ago. 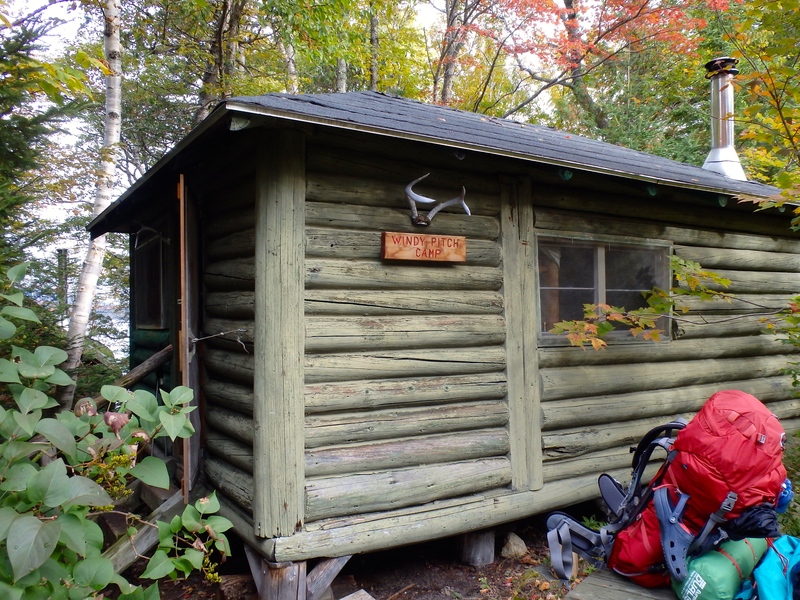 Today, Ivan and I planned for a 15 mile out-and-back hike to Twin Ponds from this little, ancient, warm log cabin on the South shore of Katahdin Lake. I got up in the waning dark to ignite the propane flame beneath the coffee percolator, fry up four slices of bacon, a couple of eggs, and some left over bread from last night’s meal up at the lodge. I laid out all my day hiking gear last night, and was looking forward to carrying less than 5 pounds on my back. My 1 quart Tiki-Man was also coming along with his faithful sidekick Steripen by his side. I had my Garmin eTrex 30 loaded up with what I thought were fresh AA’s. I’m not going to pass up the chance to download some miles and smiles into Strava to share with my mileage hog pals. The rain persisted so I volunteered to head up to the Lodge and get a refill on our five gallon water jug. While I was up there I poked my head into the kitchen and asked one of the staff if they had an updated weather report. Folks that work outdoors make it their business to be up to date on the day’s weather. “ Cloudy all day. Light rain, off and on,” came his response. I proceeded to push it a bit, and asked him what he thought of our plan to hike 15 miles today. 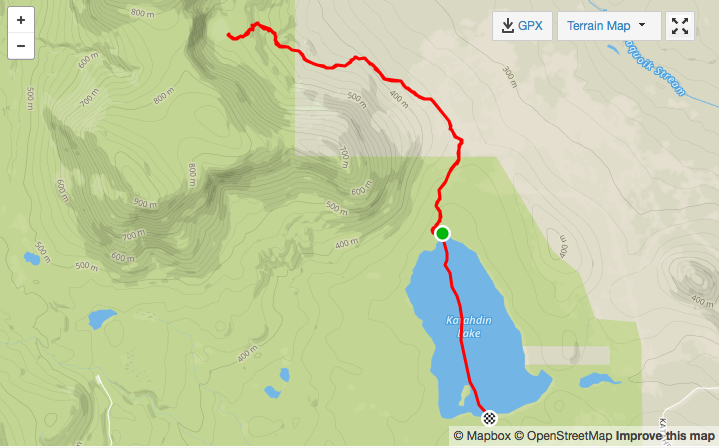 “You should canoe up to the far end of the Lake and hike up the rest of the way from there. That cuts off walking half those miles,” the manager told me. I’ve been a number of situations like this before on other hikes. It goes like this: You meet a person who lives in or near some remote place in the wilderness-they pull up on a horse, four-wheeler, or even a car. They want to know exactly where you are heading. You tell them. They then unwrap for you some additional local factor and offering up a better idea, which turns out to be true. This has happened to me more often than not. It is now my default mode of response to a local who comes up a better idea, at least one that makes sense. There are obvious exceptions to this approach. So Ivan and I clipped into our flotation vests and launched the Old Town Penobscot off the sandy shore of the Lake at 10 AM. 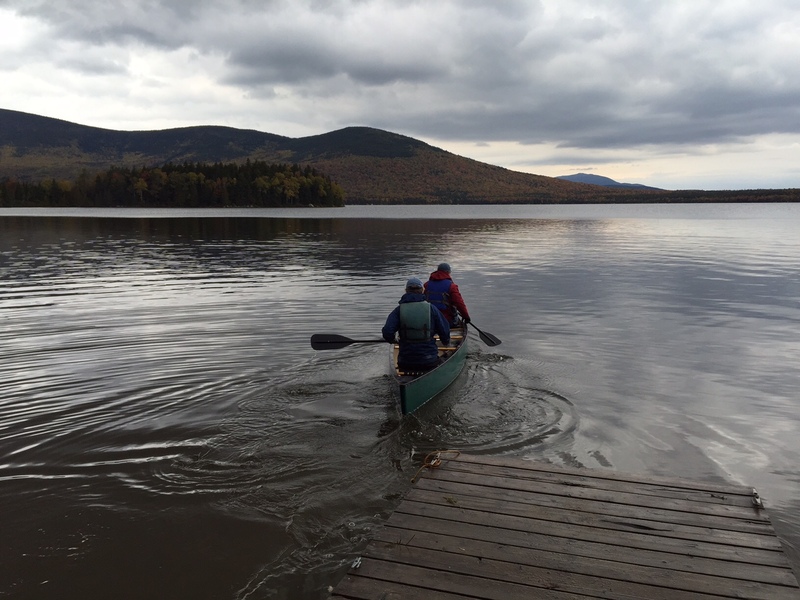 A little tail wind pushed us as we were paddled 1.5 miles north straight over the center of the Lake. 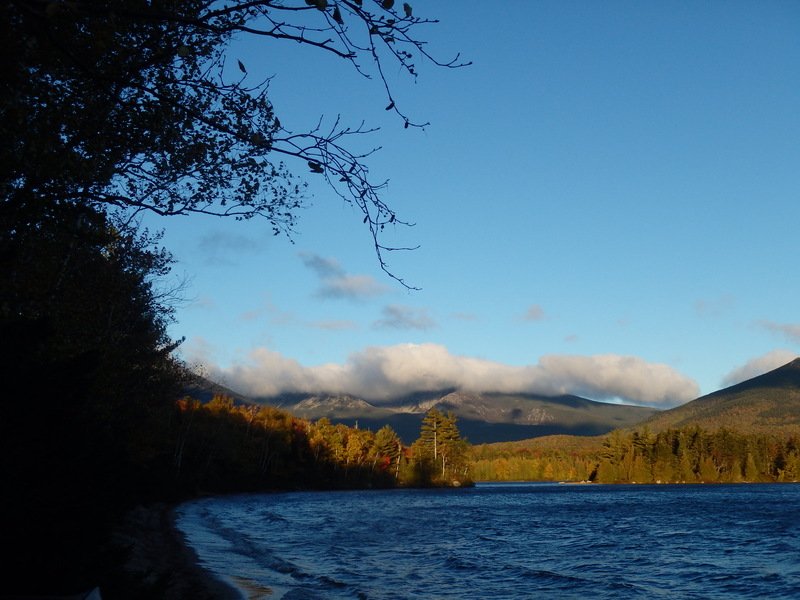 The majesty of Katahdin stood strong against the grey skies to the West, its upper shoulders enveloped in a swirling cloud. 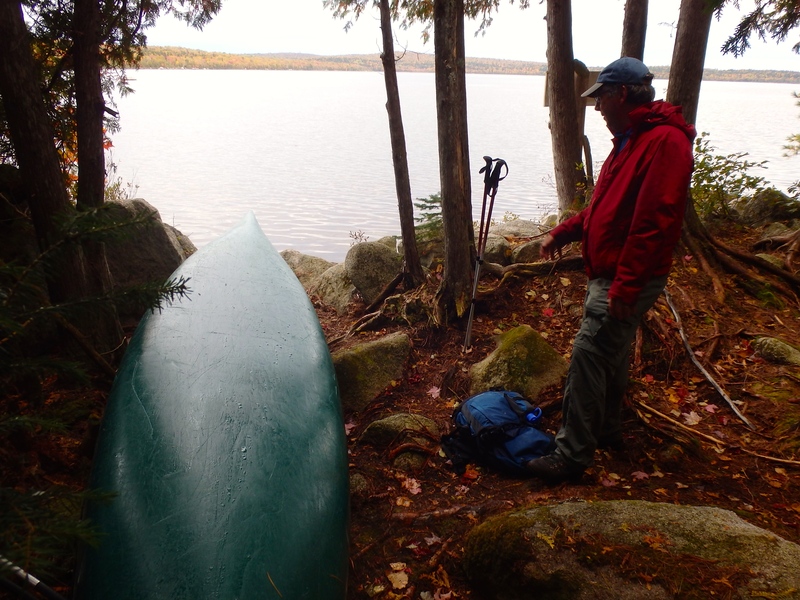 When we reached the other side of the lake after a paddle of a mile and a half, we lifted the plastic canoe up over the rocks on the far shoreline, flipped it over to keep out the rain, and within 300 feet, veered right to walk north on the Twin Ponds Trail. The path was nicely presented, wider than usual in parts, and relatively free of serious blow downs, except for maybe a half dozen times where we had to step up and over or go completely around fallen trees. The usual stuff for this time of year. There were two strong flowing streams that we crossed on the 3.5 mile hike up. We gained the steepest elevation just the last 10 minute walk to the table land of the ponds. The first one was cross between a pond and a swap. “You could call it a pool”, remarked Ivan. We had to laugh at the route indicated by blue blazes dabbed on the rocks ahead. 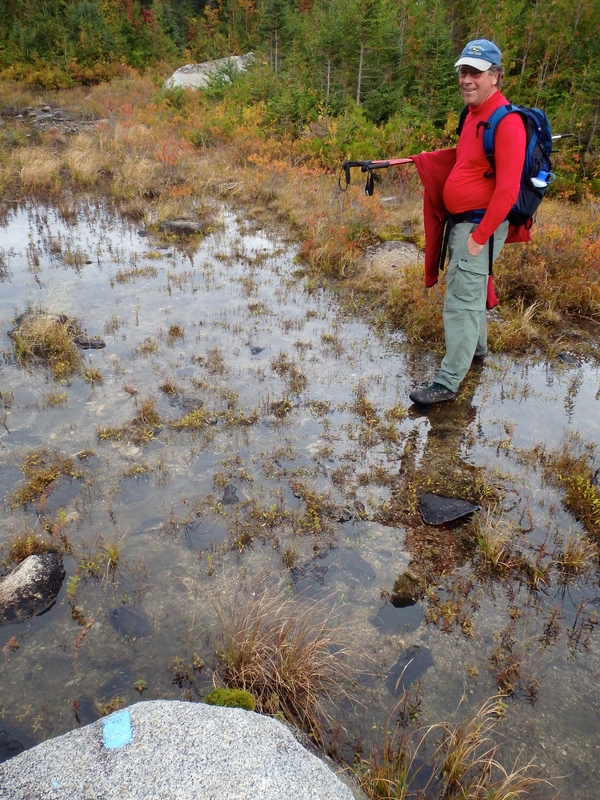 Although it looked like there was no way that we would emerge from the crossing with dry feet, judicious foot placement on partially submerged rocks, aided by the balance that we gained from using our hiking poles made it good. The second pond was the real deal. It is twice as big, and sits against a wall of vertical cliff colored an off-shade white and light gray. There was just a single trail leading up to the thickly wooded and weeded shoreline. No side trails went off in either direction. You just stand there and look, or else dive right into the shallow mud just beneath the surface. This place is rarely visited, with this trail cut in 2009 or so after Baxter Park acquired this new parcel. Ivan and I enjoyed jogging down from the top over the steeply descending, mogul run footpath that twisted and turned between rocks and roots. Maybe Ivan also imagined that he was a slalom skier. Both of us took turns getting our feet drenched by dunking our complete boots in the mucky mud beside the lubricated puncheon walkways. 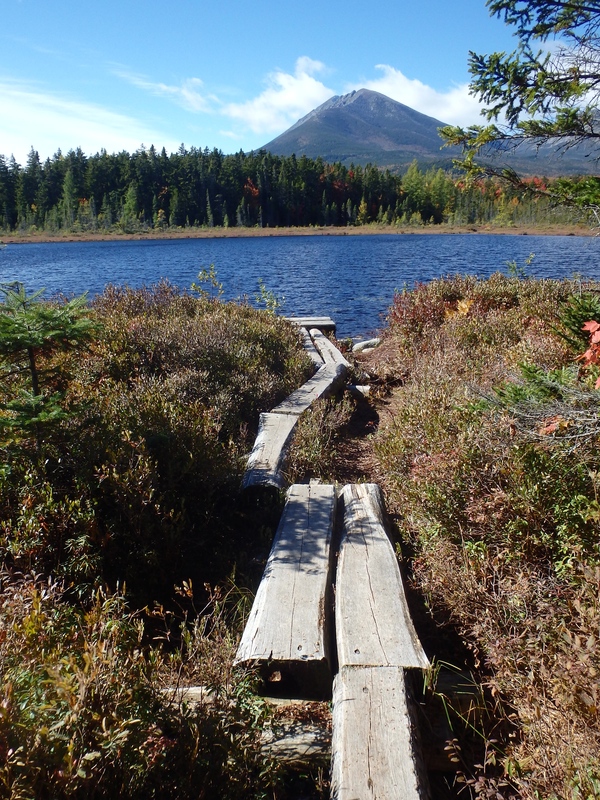 Puncheon path at Martin Pond with Katahdin. From previous day’s loop hike. Ivan detected various mushrooms long the way, the amazing little beings still struggling to promote life before this earth freezes solid for at least four months. We reached the North shore where we launched straight 180 degrees south to the Camp. The rain was gone and the lake itself was flat calm. Thirty-five minutes later we were standing on the beach at 2:45 PM . The steady warmth from the wood stove and the soft glow of the gas light globes were dominant as we made our way back to join Mame and Lynn, who looked like they both had encountered a few special trees today. There was talk of Pad Thai tonight in our camp, so I dug out a classic Whoopie Pie to split 4 ways later with the group after we’ve digested dinner. It was another quiet night here aside Katahdin, on the shore of the lake with the same name. Here’s the map of the route that Ivan and I completed on this adventure. I recommend the $5 canoe rental. Spaces still available for my next Uncle Tom’s Guided Adventure in Camden Hills State Park, Oct. 23-25. Discounted rate ! Last month I had the pleasure of reuniting with my PCT and AT hiking buddy The Burglar, who received the Triple Crown of hiking after walking the AT northbound. He stayed with me a couple of days before heading back to where burglars live. Party Hiker– Tend to sleep late, and tend to rush through often long days where they congregate in shelters from late afternoon though dinner where you may experience episodes of spilling boiling water from cooking on the floor of shelters, or filling the lean-to with a nicotine cloud. These folks hog shelters for hours where they focus on drinking, smoking herb, and in recent years, engaging in hand-rolled cigarette smoking. Their numbers diminish rapidly as one moves north. They victims of zero day (or two) sojourns in town where their funds are rapidly diminished due to purchasing relatively inexpensive 30 packs of cheap beer. As they move north, the wise up and start carrying plastic flasks of Jack. Half-lidded eyes, speaking slowly in delayed responses, and appearing mystified when posed a question are secondary features. Backpackers– These folks are the target audience for North Face products. It is not unusual for them to be carrying 50 pound plus packs. Electric mattress pumps, five pound winter double-walled tents, leather boots, Tilley hats, and liquid fuel stoves are characteristic. Descendants of Colin Fletcher’s The Complete Walker school of the outdoors. I sported a dorm-sized refrigerator-sized orange Trailwise external framed back when I was one of these folks. Home Away from Home– On vacation from life. Adhere to a 10-12 mile a day program, finishing in 5-6 months. Sleeping bag liners, camp shoes, actual pillows, frequent contacts from partners, friends, and relatives. “We’ll get there, maybe we won’t. Who cares? This is glorious!” Very generous to to other hikers. Costs of motel/hostels stays are not a issue, as these expenses are factored into trip cost. Chronic users of paid shuttle services, and subsequent additional room rates. Happy- the most cheerful group. We all really secretly strive for this status, but somehow never get there..
Sports – Skin out pack weight are down to 12-15 pounds. Up early. 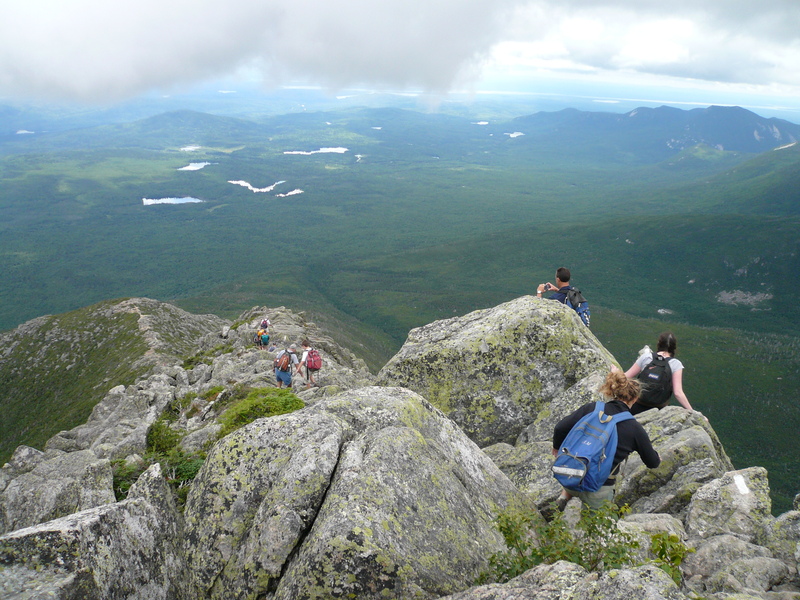 It’ all about the day’s miles, Faithfully poised to stand atop Katahdin. Goal oriented, particularly focused on maintaining their feet. Able to recite Ray Jardine when prompted, in private. Racers- Constant suffering, no interaction with other hikers, no tents. If raining, appear after the shelter is full, generally arriving after dark and some hikers are already asleep,. They press to get in. Don’t carry stoves, phones. Known to prefer a cheap shower curtain to a tent/fly, which doubles as raincoat. Descendants from Grandma Gatewood. Hungry, cranky, and edgy. Bye! Bad Guys– Is there a criminal element on the AT? The superb con men. The open-armed welcome of the AT community is nirvana to them. Jailhouse tattoos and complete Walmart kit are give-aways. They are capable gaining a following from the unsuspecting. If pressed, they make up a background story of woe- for instance, they are on the Trail to work through the death of their wife and two toddler children who were killed in a car crash from a drunk driver. Can call up teary eyes at will. Are skilled at yellow blazing (hitch hiking or bus ride) a hundred miles or more to jump ahead to new prey when they feel they might be called out. They lift wallets in hostels and are particularly adept at preying on young attractive women (with money) as long as they can. A tiny group, maybe 0.1 of the AT community. Law enforcement and the underground network of hostel owners eventually zero in on them. Special thanks to The Burglar for sharing this info with me. 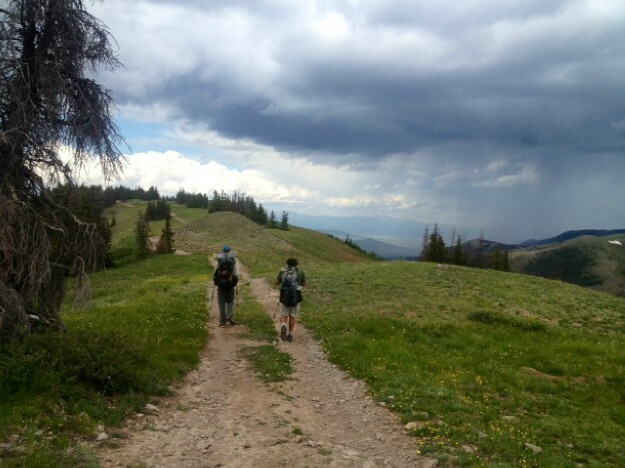 Hiking Past 60: Get Smart ! Here is my best thinking about hiking as you get older. I’ve backpacked approximately 8,000 miles since age 57. Practice meditation for one hour daily. Allows feelings and thoughts to pass through your mind without judging or reacting to them; meditation helps create a sense of detachment from negative experiences. Enlist the power of youth. It’s essential to spend time walking with people who are much younger than you are. We get set in our ways as we age, and if we hold exclusively to associating with our same-aged peers, we get stale, avert our eyes to fresh ideas, and tend to view our perspectives in old frames. Try not to get overweight. I’ve lost 27-33 pounds on each my three long thru hikes. In 2007 and 2010 I gained it all back. Being 15 pounds lighter, and dipping under 200 this year has been the best thing I’ve done for being a better backpacker and bicyclist. Put yourself through hell as much as you can bear. Regular doses of measured suffering via being outside in the rain, snow, and cold allows one to be conditioned to discomfort, and backpacking has it’s share of discomfort, even in the best of times. Don’t be chained to the plow. Break the rules, and modify the recipe. Accept any offer to explore the side rails of life. Banish gear obsession. It really doesn’t matter that you don’t have the latest waterproof membrane in your foul weather gear. Read about Grandma Gatewood (1888-1973), who never carried a sleeping bag, tent, backpack, map, or wore hiking boots. Coffee and music are both legal performance enhancements. True. It’s all about the feet. Numerous hikers leave the trail due to ravaged feet, some to never return. No one should experience blisters or lose a toenail, ever. Pickles give the foot talk at ADZPCTKO in 2010. She told us that we had to accept blisters as part of the hiking game. I never had even one blister on the PCT or the CDT. Recognize that fear and excitement are close to the same emotion. Be comfortable with a little unease as you even think about walking into the forest. It’s part of being a real human being. Still Slots Open for your Local October Adventure ! 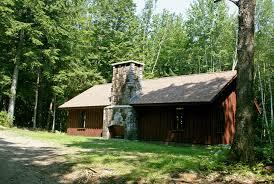 We’ll hike into the Ski Shelter scenically set amidst birch, maple, and balsam forest on a Friday afternoon. We will hike out on Sunday. The shelter is located approximately 2.5 miles inside Camden Hills State Park. While the focus of this trip will be on backpacking cooking, the weekend will also serve as an opportunity for anyone without backpacking experience to “taste” what it’s like to walk on some beautiful trails and spend a couple of nights in a back country setting in a tidy spot in the woods. I will be giving a more in-depth course in cooking with home made multifuel ( wood, alcohol, solid fuel tablts) stoves on Saturday night. I will provide the tools, materials, and fuel to allow each person to to make, cook on, and then go home with their own multifuel backpacking cook stove, complete with custom titanium air mixing base plate. 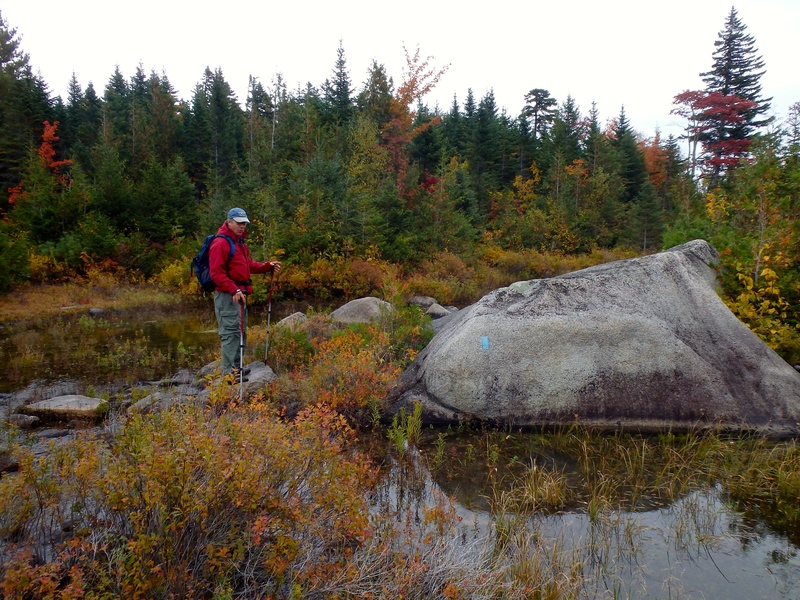 Camden Hills has 25 miles of excellent trails, including the summit of Mount Megunticook (1,385’). Megunticook is a nearly three mile long mountain ridge extending out to Ocean Lookout which overlooks the expanse of Penobscot Bay. During the day, participants will be on their own to explore the park, or we can group up, if folks choose that option instead. I am most familiar with the Park’s trails and can provide participants with insight about my personal favorite hikes. I encourage folks who have iPhones to acquire the $3.99 Camden Hills Hiker app, which is also available in an Android application. We’ll become familiar with the App’s features, and use it to stay “found”. This trip is permitted for up to 5 participants. The wood-stove heated shelter has 6 bunk beds, but no mattresses, so participants will need to bring their own sleeping pads, sleeping bags, and personal gear. We will purify water from a stream, and there is a clean outhouse adjacent to the wood-heated shelter. I can help provide items, like packs and sleeping pads and bags, if necessary. Price drop! $100. Includes lodging/usage fees for 2 nights, and food for Saturday night’s dinner that we will prepare on multi-fuel backpacking stoves. I will send you a packing list. 207-230-4156 cell, texts. Your reservation can be secured with a 50% deposit via mail (to Tom Jamrog, 290 High St., Lincolnville, ME 04849). ABOUT ME: I am a Registered Maine Guide. As a Maine Guide, I adhere to a code of ethics, provide quality service, promote safety, and have trained to be prepared to handle any potential problems. My professional credentials include Licensed Professional Clinical Counselor and Nationally Certified School Psychologist. My background and training has prepared me for assisting clients to engage in a successful wilderness experience by bolstering mental preparedness as well as advising clients about gear selection and on-trail techniques.